I am in Jane's Pole Flow Yoga class and I am from Japan. On 11/3/11, one of the biggest earthquakes occurred in Japan. Earthquakes lead to secondary disasters such as fires, nuclear power plant damage and tsunamis (awful new footage showing the tsunami's power and resulting devastation) which destroy and damage houses and buildings and wipe out the whole area. A total of 10,102 people are confirmed to have perished and 17,53 people are missing so far. The figure for Fukushima is far below those of the other two prefectures partly because search operations were suspended in areas within 2 kilometres of the troubled Fukushima Daiichi nuclear power plant. The figures are almost certain to rise because of the absence of family members to file reports on the dead and missing. 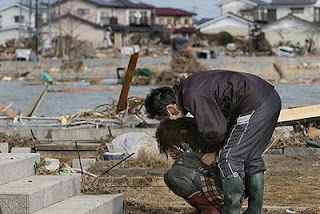 In some areas entire families appear have been swept away in the tsunami that followed the magnitude 9. earthquake. There are about 200,000 people being evacuated to shelters which are like school gyms. In the affected area there are no power supplies and few daily supplies, so they don't have enough heating, clothes and blankets to keep them warm and the lowest temperature is below zero (4 degrees C in Fukushima on 24th March). Some children and babies who were in shelters have no support as the roads to get there were destroyed and people are dying because there is no food or milk even after surviving the earthquake and tsunami. Several weeks have already passed since the disaster. The effects of the earthquake, tsunami and nuclear power plant are being felt all over Japan now. People in Japan are still very distressed and worried but they are trying hard to live their life each day. I am trying to raise money for the survivors of this incident and I would really appreciate it if you could contribute whatever you can. 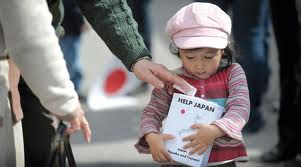 All the collected money will be sent to Japan through the British Red Cross. Please bring some change with you when you come to class and support us. We will be collecting money at the art of dance reception for the British Red Cross and you can also donate on-line. My thoughts go out to the people of Japan in these terrible times.